Could new innovations in copper technology stunt fibre’s growth? With most of the industry focusing on fibre and high-bandwidth microwave systems, Max Penfold, Sales Manager at UTEL, reveals why copper’s new secret weapon could stunt fibre’s growth. Can SDN offer carriers a way to make money from Netflix? While the 12,700 visitors to OFC 2014 milled around the high-tech displays by the 550 exhibitors, the minds of some of the industry leaders were fixed firmly on the films that the American public likes to watch. Or, more precisely, the way in which the American public likes to watch its films. How can telecoms companies adapt to a changing market? At the OFC in San Francisco, Robert Roe heard concerns about IT and the back office figuring almost as large as issues of high technology. Although the 12,700 visitors to OFC 2014 saw all manner of technology on display from the 550 exhibitors, it was something less tangible – software – that became a dominant theme of the event. In December, as reported in Fibre Systems, a study predicted that there will be a 560 per cent increase in data traffic on metro cable networks, driven by an increased demand for video and the continued proliferation of data centres. A fibre-to-the-premises (FTTP) roll-out would be of more financial beneficial to Britain than the HS2 rail line, according to an IT entrepreneur. The coalition government is planning to spend upwards of £45 billion on the high speed railway – but bringing the country’s businesses access to superfast broadband through fibre-to-the-premises (FTTP) and fibre-to-the-home (FTTH) would be cheaper and financial beneficial to the country, says Scott Fletcher, chairman of UK cloud infrastructure specialists ANS Group. When it comes to innovation, Sweden punches above its weight. Sweden was ranked as the most innovative country in Europe in September 2013, using a new benchmark created by the European Commission. The “indicator of innovation output” measures the extent to which innovative ideas from several key industry segments – such as the environment, energy, ICT, health, and high-technology industries – are able to reach the market. Poor internet connection speeds are disadvantaging companies in the entrepreneurial heart of Britain, according to a European politician. James Elles, the Conservative MEP for the South-East has described how European leaders met in Brussels to discuss a key initiative of the European Commission – the Digital Agenda for Europe. 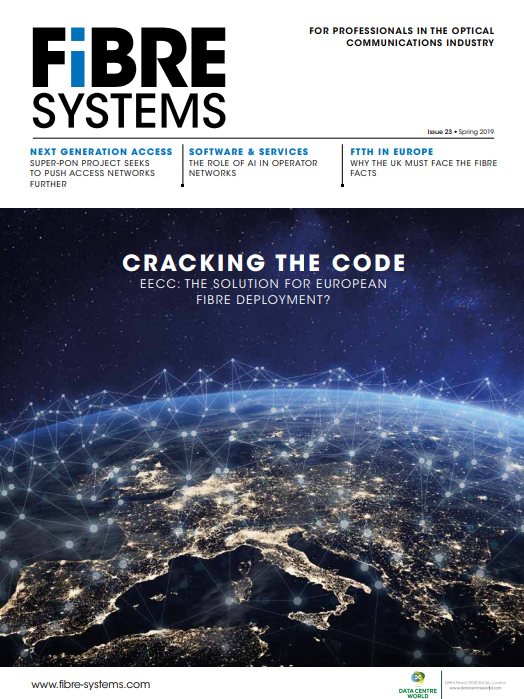 Datacentres, testing, and how to pay for next-generation transmission networks were among the themes that dominated the 39th European Conference and Exhibition on Optical Communication (ECOC), held at in London UK at the end of September. Criticism of the UK Government's rural broadband programme lacks understanding, according to a telecommunications expert. In light of the recent and less-than-enthusiastic Public Accounts Committee report on rural broadband, Matthew Howett, principal analyst for telecoms regulation at Ovum, explains how it raises valid concerns but also shows a lack of understanding of some of the basics. The European Commission has missed an opportunity to have a better-focused fibre policy in its Digital Single Market proposal by continuing to ignore the key issues, according to the FTTH Council Europe. The council says there is too little FTTH investment, and that the proposal fails to set out a vision of how the industry can accelerate investments for the benefit of the broader economy.